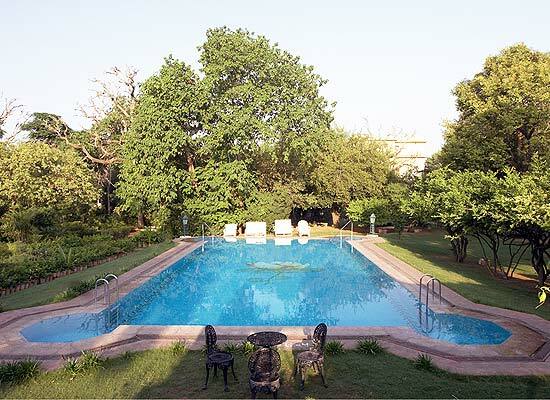 "The Narain Niwas Hotel is counted as one of the finest heritage hotels in Rajasthan. A great example of the marriage of contemporary and traditionalism, this property boasts of impeccable services, an elegant decor and an attractive color palette- a visual delight for the guests. 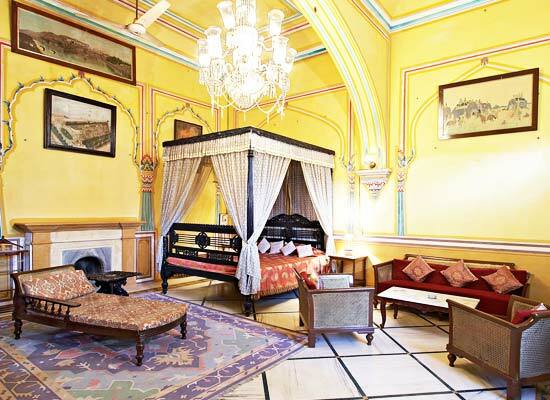 Enjoy the warm Rajput hospitality during your stay. 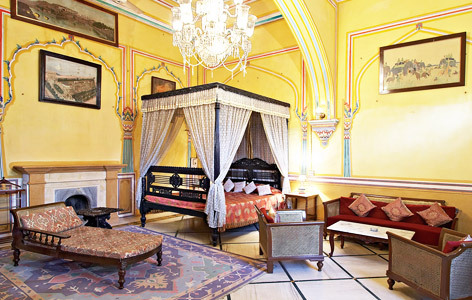 In 1928, Narayan Niwas hotel Jaipur was erected by General Amar Singh, Thakur of Kanota, a confidant of Maharaja Sawai Man Singh and Commander of the erstwhile Jaipur State Force. It was named after his father, Thakur Narain Singh. The palace was used as a country residence by him, which he used for staying during his hunting expeditions and family vacations. 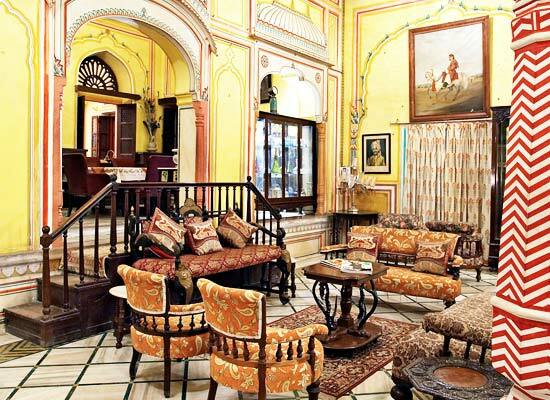 It has now been turned into a heritage hotel in Jaipur, which is managed by the Kanota Family. Dining experience at this palace hotel is not less than experiencing sheer royalty. The recipes that are included in the menu are straight from the royal kitchen and the personal diary of Thakur Amar Singh. There are several dishes which you can find nowhere else. Every special dish is prepared in the presence of the member of the royal family so that the guest can savor the true tastes of the royalty. The ancient royal cuisine called ‘Thikana’ recipes is a specialty. Do not miss the special royal Thalis, included in the equally amazing special menu. Popularly known as the Pink City of India, Jaipur forms the most preferred tourism golden triangle of Delhi, Agra and Jaipur. A beautiful city in the North Indian state of Rajasthan, Jaipur is home to numerous tourist attractions such as the 18th century Jantar Mantar, the Nahargarh Fort, Diwan-E-Am and Diwan-E-Khas, Govind Dev Ji Temple, Hawa Mahal, the Birla Planetarium, Sisodia Rani Ka Bagh, the Vidyadhar Gardens etc.